Author : Douglas, Lord Alfred. Publisher : Mercvre de France. 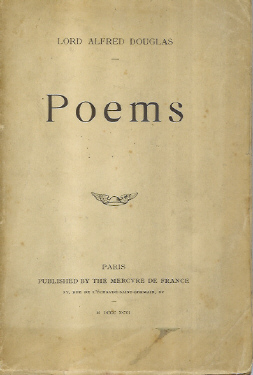 First edition paperback, with poems in English ands French on facing pages. Brown cover some stains on front cover, creasing and tears. Spine has cover cracks down its length. Inside the book is slightly browned, but otherwise clean and ferm.